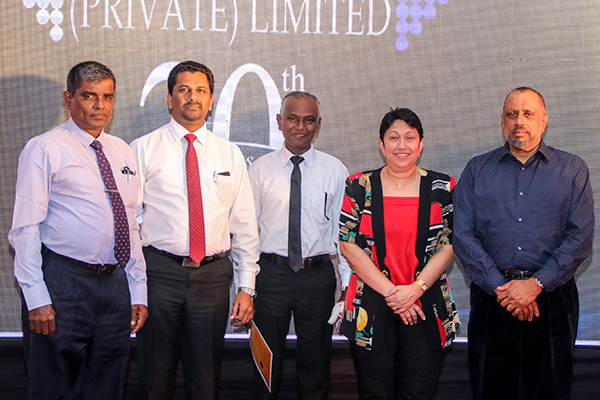 Macbertan (Private) Limited marked its 20th milestone in Company history by recognizing long service employees at an awards ceremony held recently at hotel Palm Village. It was a function filled with glamour, where long Service Employees were rewarded for their contribution to the Company. Long standing customers of Macbertan, some of whom had been doing Business with the Company from the inception were also recognized. 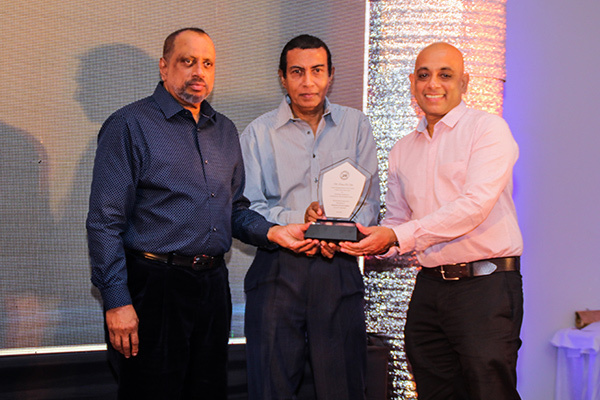 Mr. Rohan De Silva Founder Managing Director of Macbertan (Private) Limited and current Chairman of McLarens Group was recognized for his Vision & Entrepreneurship by the Shareholders who presented him with a Plaque of appreciation. Past Directors & Management of Macbertan who had contributed to taking the Company forward were also among the distinguished Invitees. Launched in the year 1997, Macbertan is a joint business venture of McLarens Holdings Limited, Alliance Finance Co. PLC & two individual shareholders. Beginning its operations Macbertan (Private) Limited pioneered the manufacture of Expanded Polyethylene Foam Products and Polyethylene Air Bubble Sheets in Sri Lanka. The Company launched its prestigious product range of McFoam, McFoil, McFoil Ultra and McWrap which became popular brand names in quick succession.Revolutionizing the Sri Lankan market, these products are mainly used for thermal and impact insulation and have limitless applications. 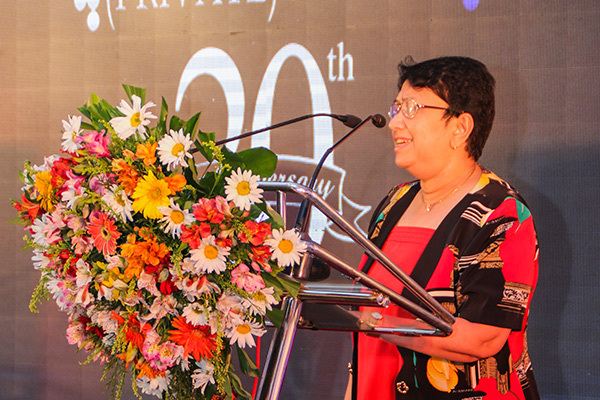 The company expanded its production line by introducing a Manufacturing facility that manufactures ABL and PBL tubes of high quality standards, in Sri Lanka. Under business diversification plans of the Board and to fulfill Company vision of been Insulation and Roofing solutions provider to the nation, investments were made to set up Manufacturing facilities for Steel Roofing Sheets, Cladding Sheets and Accessories. The New addition to Macbertan’s product portfolio is Manufacturing of PVC Synthetic Roofing Tiles which ideally suites virtually any type of shelter. Macbertan’s latest Investment is in a JV Company with Pidilite International to Manufacture Fevicol Adhesives in Sri Lanka. 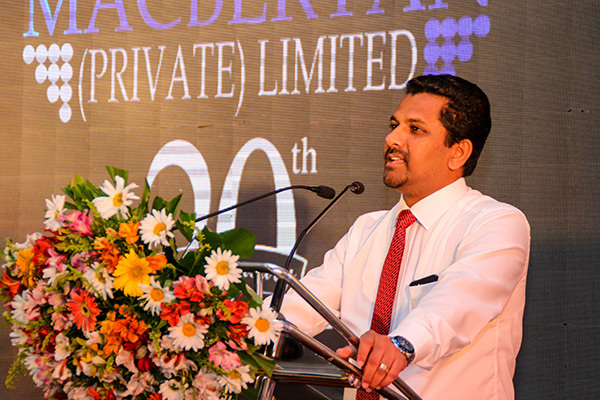 Addressing the gathering at awards ceremony Mr. Cheminda Amarasinghe (Director/ CEO of Macbertan) highlighted key achievements of the company and thanked all the stakeholders behind company’s success story of 20 years. He said that the Company believes that all these innovations were made possible due to its commitment towards quality, environment, occupational health and safety of its own workforce. Mrs. Ramani Ponnambalam Managing Director in her address said “As an organization, we are Thankful to Our shareholders, Directors & employees for sharing the vision and mission of Macbertan”. We also extend our sincere gratitude to our valued customers for their loyal patronage. The Event was concluded with dinner & Entertainment for around 300 Invitees.